With a name like Duck Key Wreck, you know you'll be exploring yet another of the many Florida Keys shipwrecks that remain unidentified. Other than the fact that she sank at Boiler Patch in 1889, and was a steam powered freighter, little else is known about this vessel. Of course the mystery of the unknown always adds that extra element of interest and spice. Perhaps you'll be the one who finally determines her long lost name. When scuba diving Florida Keys, just because you don't know her "official" name doesn't mean the quality of this wreck dive is diminished. Located at a depth of about 25 feet, just a few miles off shore from the far north end of Marathon Florida, this wreck is home to an abundant variety of marine life. A variety of gorgonian and stony coral have built up in the area, and a strong assortment of tropical fish and juvenile game fish call this patch reef and wreck home. The ultra clear water makes this the perfect place for Florida Keys snorkeling, or for anyone who enjoys dabbling in underwater photography. As far as Florida Keys dive sites go, this is also not a heavily trafficked location. This makes this the perfect dive site for the novice diver to practice their skills. 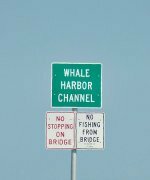 If you're diving Marathon Florida and head out to go wreck diving here, you'll have no trouble locating some of the more popular features. The old freighter's 4 large coral encrusted smoke stacks and 2 boilers rest in the white sand are popular with photo enthusiasts. 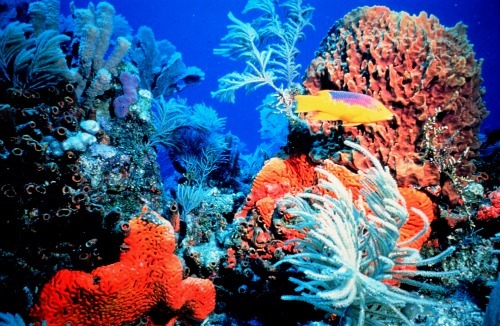 After spending a day snorkeling or scuba diving Florida Keys, you'll find that this is the perfect second dive site. Less traffic, lots of marine life, a touch of mystery, and fantastic photography opportunities make Duck Key Wreck worth a dive trip.